No labels, no permits, no sponsors. THEY PULL ME BACK IN. Our true enemy, has not yet, shown his face. This is a parallel to how I felt Friday night when Georgia Tech kindly announced to me via email that all but two of the classes I am taking are worth credit. So I was mad. And it was an even lower low, because I woke up on Friday, finally, to an email from the person responsible for AIESEC Valencia. He expressed that the stall in development is due to “legal issues,” but that these should be resolved soon, and that we should meet up later this month. Sweet. Also emails furthering the development between me and the professor for the one-on-one electronics class. Which was one of the classes stated as simply “no credit.” I felt so angry and stressed that I ate at Burger King. That night was a house party at Raisa’s. I spoke Spanish with a girl from Castelló, and I was confident in my speaking ability. I elected not to pay the ten euros to go to the discoteca. Saturday was a good day. Jessica, one of the other students from GT, and I went to the Fallas Museum, which was nice. Then my roomate Raul took us to a restaurant in the Barrio del Carmen, the oldest part of the city center of Valencia. That was pretty cool, because Raul, being from the Valencian region himself (he hails from Alicante), knew where to go, what to order, and all that kind of stuff. Not having eaten out much in Spain (largely because it is so expensive), I learned a few things. For example, in the Valencian region, it is customary to order some small steamed mussels as your first tapas. I can’t remember what they’re called unfortunately. We split a bottle of Rioja wine, Spain’s most respected wine, between the three of us. We had about five tapas plates, all of which were delicious, and then afterwards we had some allsome desserts (it seems that getting dessert here is very common). Another thing I’d never have known about was that after the cena (dinner), as the very last thing you do (before talking for thirty more minutes before leaving) is to order this particular liquor, in shot form, to finish off the dinner and (I suppose) prepare yourself for the downward slide into the next six hours of revelry. That stuff was so strong, I’m surprised my stomach lining is intact. I also cannot recall the name of that drink (I learned a lot of words last night, only a few of them stuck). The whole thing lasted about three hours, and it cost sixty-five euros in total. That’s why you don’t eat out much in Spain. Which is also why I’m learning to cook. After that, Raul showed us a pub in Barrio del Carmen called Radio City. We entered. That’s the first place since Bar Varadero I’ve enjoyed myself. Instead of high cover prices and indecent techno, it was no cover charge and some pretty groovy DJ mixing, most of the stuff didn’t have words or anything, and when there was a recognizable song, it was either sampled Aretha Franklin (RESP….RESP….RES..RES…) or Bob Marley. There will be returnage to this place. Today I just walked around the Turia and began taking care of my final possible credit push. If this one fails, then uncharted territory has been entered: that of loss of insurance money and scholarship money. Which is obviously all my fault. That’s why I’m up so late, in fact, because I had to find all the course information (one class I could find nothing for) and for two of the syllabi I had to translate them myself, and I was already tired. There was a lot more I was going to talk about in this entry, I think, but damned if I can remember any of it now. But here are the pictures of my apartment you were promised. The view from my door into my room. Pardon the mess. View up from the window. I’m on the eighth piso (floor). View down from the window. This is essentially the “entrance salon” or hallway. This is the back part of the combined dining – living room, which is where we eat. This is the front part, the living room. This is the view looking straight out from the balcony. That is the shield of F.C. Valencia, on the Mestalla, which is the name of the stadium. This is the view turned north on the balcony, up Avenida de Suecia. This is the night we watched the match between Spain and England. From the left: flatmate Raul, Jose (Pepe’s amigo), and flatmate Pepe. The food was good. And honestly, that’s all I have the strength for right now. I would gladly show you pictures of my new habitación, but Blogger is bloggering. So I can’t. What I can do is relay that while credit approval is still extremely frustrating, it is slowly advancing. Most interesting is that I signed up for two classes that I later discovered conflict with each other, time-wise. I decided to go to one which starts earlier and leave to go to the other one, to see which I should choose. Both were in English. When the professor came to start Electronic Technology (op-amps, diodes… the stuff I’ve been doing at ROHM) I was the only person there. While we were talking about what to do if I were the only student, then another professor came into the room to begin class. She was there to teach statistical methods in engineering – the other class I had signed up for, but had yet to start for two hours – but she was here to teach a Spanish block of it. Apparently they had accidentally double-booked the room. The professor for electronic technology told me to meet him after this class was done. So after listening to the Spanish and doing the statistics (it won’t be an easy class… subject matter is simple, but getting the instructions in the language at this point is not) I went with the other professor to his office. He explained that he had talked with his colleagues and they had produced a solution: I could come into his office for less time than normal on Tuesday mornings and learn the material one-on-one. In exchange, I would review their English language presentations and correct them. Considering since if GT gave me credit it would be a 4-hour class, I think it’s a good deal. Last night we watched England vs. Spain (Spain won 1-0) while eating a good dinner – my flatmate Pepe had an amigo over, Jose, and along with me and Raul, another flatmate, we had between us some good sausage, varied cheeses, Pepe fixed up some good sauteed mushrooms, and some picante olive spear type things. It was good. I am also quite interested in how the Spanish are so much healthier than we are, yet the stuff they eat is just as unhealty. A lot of potato chips, a lot of french fries, a relative of mayonnaise with much of the tapas, chorizo is quite greasy and fatty, and of course olive oil with everything. Perhaps it’s just that they don’t super-size it all. I’m mulling over taking a trip to see the Decemberists close out their European tour in Paris. Finalmente! I have found and secured an allsome apartment. More amazing than finding that such a place actually exists is that out of 20 people I was chosen as the rightful inhabitant. Here’s a google-mappage of where it is. Yes, it’s across the street from the football stadium. And it’s also right where all the fan-bars are, three minutes from the metro, and ten minutes walk to the university, and five to ten to the “river park” and beyond to the old city. Which is nice. Ah, the things which have and have not occurred since my last blizz-ogging. Notable in my own personal vision and development in the medium-term I shall relay in this anecdotal story. Friday evening was the Erasmus dinner, which was to celebrate the end of the two-week intensive language course (which I passed, gracias por Dios!) at the slightly early time of 9:30. In an interestingly AIESEC-like fashion, everyone was to bring a dish from their own country and complete a banquet of international tastiness (complete with two provided barrels of sangria and “agua de valencia.”) Now I cannot cook, and there is not even an oven in the apartment in Gandia, but I had a great and simple idea to bring these Europeans the taste of the South: I would fix up some sweet tea. So I checked a recipe online and I got the necessary ingredients from the store (sugar and tea). And I followed the instructions as they were written (or so I thought – realize that there are no measuring instruments in these apartments): I put about three or four cups of water on to boil and I put a cup and a half of sugar in as well. Threw in ten teabags, left it to boil for an hour (like I thought the directions said) and went to someone else’s apartment. How the apartment smelled and was hazy when I returned an hour later. Smelling of burnt glucose. When I opened the pot of boiling sugar water/tea, it was no longer boiling. I was reminded of the scene in Terminator 2: Judgment Day in which Sarah Connor visualizes the nuclear attack on Los Angeles, and sees the parents and children at the playground turn into black casts of themselves from the heat before the blast blows them away like so much ash. Well, that’s what the pot looked like. Everything was blacker than Mordor, and burnt sugar was all that was left. It even overtook the teabags, which crumpled to the touch. That pot is still not wholly clean after three washings with boiling water. I was extremely frustrated and disappointed after that, but I just realized that I had to take the pot off the heat when I threw the teabags in and let it steep for an hour. I still had an hour and a half and ten more teabags, so this was easy. I just did it again with the crucial step of removing from heat. After an hour, I poured the syrup into a container and poured in a right amount of water (just like the recipe said!) and got barely, barely sweet tea. Not even worth bringing to represent Arkansas, much less Alabama. So I didn’t bring it. And on the walk to the university, I came to the conclusion that one of my great challenges will be to become a “master” chef by the time I return to the land of the free. I’ll have to start out slow – my first victory will be successfully completing a pot of sweet tea – but by the end I’ll be able to cook for eight guests so well that they will all have to remark about it in between mouthfuls. Of food. The other thing I will challenge myself with is starting AIESEC in Valencia. This way I can meet Spanish people, stay involved in AIESEC, and keep challenging myself, as well as bring AIESEC to this amazing corner of the world. 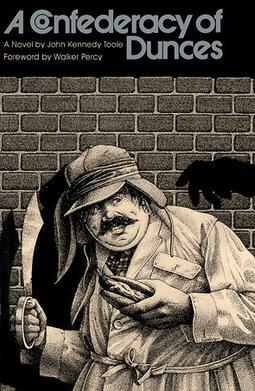 The glory of A Confederacy of Dunces has been brought to Spain! I doubt that all the linguistic jokes can translate well, however. I’ve been meaning to type this for some time, but I always lose time, but now I have time. A week before this past Friday in the language class, our professor was asking for adjectives that were negative about things or people. I proffered “fascista,” the professor said, “SI! SI!” and threw it up on the blackboard. A few minutes later, one of the Finnish dudes said, “comunista,” and she looked confused and said, “por que es mal?” I experienced a few thoughts and emotions at this time. Of course I was glad at her appreciation of the real meaning and good things of socialism, and more so that she would be able to counter that it was not a bad thing at all. Almost immediately afterward, I thought about how that could never, ever be uttered in the United States – yet our societies are both Western European derived societies. Why is it universally hated in the United States while it is taken seriously and debated seriously in Spain? The answers lie in several places, most of which do not include the Cold War (which is the most recent reason for U.S. outright dismissal of that kind of society). One of the most interesting and influential clashes of ideology ever was the Spanish Civil War, in which the left fought the right. The right won. But during the war (especially in Catalunya) the left proved that its system worked for real. Which is glorious. The point here is that after the dictatorship of Franco, the people of Spain recognize a socialist society as both the democratic alternative to Franco and as the thing to achieve after what they have experienced under dictatorship. Anyway, tomorrow is the day of matriculation and settlement. Cheers to all from Valencia. I went to Valencia again on Tuesday, and saw three apartments. I really, really liked the first (and I have a fair amount of hope I can get it!). The second was quite boring, the people were boring, and he was happy to show me the “cleaning schedule” they all have. The last was pretty good, but they prefer girls. Of course I’ll look back on all of this and laugh in the future. Of course, you can look back on anything and laugh. I don’t believe everything turns out for the best, I don’t believe that if you don’t get something it was meant to be, and I sure as hell don’t believe that when “God closes a door, he opens a window” – because God’s not the one closing the door, and the window’s there whether God is or not. Today was the exam for our Spanish test, so tomorrow is the last day of class. I hope beyond hope that GT will let me put it as SPAN2002 credit, or any serious Spanish class credit at all. If not, I’ll rip something open because I’m having quite a hard time getting GT to realize they’re partnered with this school at all. However, now that Gandia is about to be behind me (until I come down for warmer weather) here are pictures of Gandia. Taken from the jetty of the Grau, only two blocks from our apartment in Grau de Gandia. Me on our balcony, on the ninth and top floor. Time to go fix my quick ravioli. Tonight is the “American party,” which we hope will be the real big thing after last night’s so-called “Orgasmus” party was billed as “The biggest Erasmus party ever!” and did not warrant even a passing reference to its neologistic merging. If You’re Comin’ to Look for Apartments, Be Sure to Wear some Mariscos in Your Hair. I: I am now friends / conference-mates with two MCP-elects (and one former roomate by extension): the MCP-Elect of Austria and the MCP-Elect of Latvia. Congratulations. II: My thoughts and my sympathies are with these people right now. III: Today I went to Valencia after class for two apartment appointments. I arrived at four; the first was at six and the second at seven-thirty. First thing I did was go to where the six-o’clock place was. It is in the city center (historical), which is close to a lot of stuff but not so close to the university. I wanted to get a feel for the area, however, so I walked around for two hours. I noticed that for about two blocks radiating out of my potential piso, everything was dreary and urban decay; and once you stepped out of that zone everything was delightful and “Valencian,” I might say in a kitschy way of foreign expectation of some kind of feeling that probably doesn’t really exist about a place that probably also doesn’t really exist. Anyway, within these two blocks, I witnessed two police incidents within one hour. Both had three police cars at the incidents. I was also getting in general weird-feeling because I saw some shady-looking chicas around as well. When six came around, I called the person, and they explained to me (all in Spanish) that they had really meant jueves (Thursday), when the email clearly stated lunes (hoy, Monday). I argued for a bit, then they said not until jueves. I was 95% decided against that building (especially at €295 per month) when I asked an old feller in the street (again in Spanish) about having seen the police incidents, and if this street (Calle de Triador) was a safe one (specifically, if there was a lot of crime here). He answered me in his thick Valencian accent that had seen as least as much Franco as PSOE, “Eso es un calle de mujeres.” Whores. And as I left the area, I saw one more guy being pulled by a policeman, into a white police car. The second, closer to both a metro stop and the school, was in a far better neighborhood, was quite a nice flat, and had a balance of two Italian girls and a French guy. They were “buscando solo chicos” (looking only for male applicants). I really liked the flat, and I was about to seal it – when they said “We’ll talk to you in two or three days. There are about 25 applicants.” What the hell am I supposed to do in order to make myself outstanding? At least I was only speaking Spanish. I really want that apartment though…I doubt they come much better. I have two more tomorrow. You’ll have to wish me luck or something equally useless, if I have any elevated hope if things are like this each time. Let’s talk about Spanish nightlife. Wherever you live, whatever you do at some time, the time comes to move on to the next activity, and you know when that is without looking at the clock, or by looking at it. I’m talking about the mundane here – dinner, afternoon nap, sleeping, going out at night. When you come to Spain, you will have that same feeling, at the same time. But you will have to wait three hours before it is time to do it. The Spanish take their comida – lunch in our sense – at 2:00, when siesta begins (which lasts until about 4:00). They take their dinner (la cena) between 10:00 – 11:00. And then there are various “going out” exploits for drinking and such. The real nightlife begins between 3:00 and 4:00, and lasts until between 6:00 and 7:00. I am not lying. The discoteca is of course not my idea of a good time, neither at home nor here. But the time comes when I must experience it at least once, and where better than here on a Saturday night. The tapas bars were chock-full at at 11:30, and we were still in our apartment, having eaten three hours prior. We went to bars/clubs between 12:30 and 4:00. The first one was shite, in my opinion: electronica-pop and the meaningless gyrations of so many hips, with so many eyes focused downward. The second one was much more to my liking: decidedly more “spanish” music, but certain others hated its authentic nature, and so we left again. By now it was finally time to go to this place with an 8 euro cover charge, called “Coco Loco.” Although I lamented the price which was about 16 euros too high for my entry, I have to admit – it was rather happening. Apparently THE place to be in Grau de Gandia between 4:00 and 6:00 this morning. I never smiled the whole time because I was not having fun, but nonetheless I complicitly waved my hands in the air and sweated in my corduroy coat – chic in certain circles in the US, the object of derision among the striped-shirt crowd. I was glad to go to sleep. I cannot make this entry any longer unfortunately because I have to go, but those time issues are interesting ones. And I probably won’t go to a discoteca again. Tomorrow I look for apartments and such. Wish me luck. Lewis Lehe (whom I know through my good friend Matt Wurtele, a travel companion and comrade in the ideo-militia of people who play music together) has created a documentary titled “It’s a Thick Book.” You should watch it most especially if you are from Alabama. I also will probably go to Valencia tomorrow para buscar una habitación. I will also take this opportunity to tell you to come visit me for the Falles (in Valencian) or the Fallas (in Castellano). It is from March 16-20. Those are the same dates that Uncle Tupelo recorded this excellent album at John Keane’s house in Athens, GA in 1992. I finally have a Nomadlife blog. I intentionally waited until I got here (from Atlanta, Georgia, USA to Valencia, Spain) in order to activate it because I wanted to be real xhardcorex and not be some kid typing just hanging in the same place. I am an Anglo-Celtic Alabamian who attends the Georgia Institute of Technology. I am twenty years old, and will turn twenty-one in one month. Only one month of a break on the US’s progressive substance laws. I am a member of AIESEC there, I was a part of the group that restarted it in 2005 and I was VP People Development in 2006. I count December 30th, 2005, when I and a few others drove eight hours to Dayton, Ohio for the Winter Strategic Conference 2006, as probably the most important day of my life (unless you count September 9, when I learned about AIESEC). The reason for that is it allows me to have a platform for my potential to develop, an amazing network of amazing people, and it gave me an excuse to flex my global muscle(s). I had always wanted to study abroad, but my experiences with AIESEC have certainly changed the way in which I would approach it. Which is why I am now in Grau de Gandia, España, with about 100 Erasmus students (and less than 10 Americans and Australians) in an intensive Spanish language course for two weeks before we relocate to the Universitat Politècnica de València. If you want to see it, the coordinates on Google Earth are 39°28’32.90″N and 0°20’37.00″W. It’s near the platja (Valencian for beach). The month leading up to this was extremely busy. After leaving work, I had to prepare and execute being OC VP Promotions for AIESEC US Winter Strategic Conference 2007, then almost immediately go to Culiacan, Mexico to faci for their national leadership development seminar. And four days after I got back from that, I flew to Spain, about 18 hours before my class began. So this is my first break for a while. There are many things I could have written about had I access to the internet before now, but some of them have subsided, and now what I can say is that our apartment, which is on the ninth and top floor of the Apartamentos Turisticos Biarritz in Grau de Gandia, has an excellent view of the beach and ocean, and the sunrise. It is like a dream here. The future will bring change.